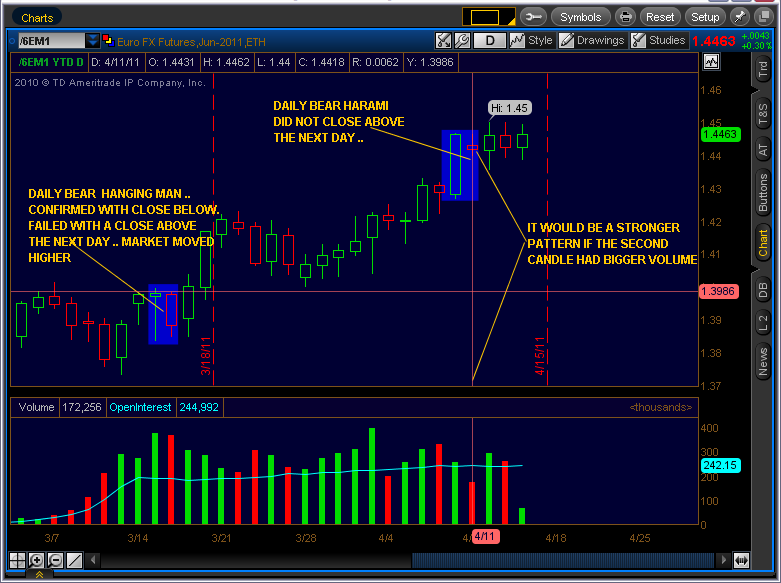 Here is last weeks volume profile over a 120 min chart. Are prices going to fill in some of those volume gaps below? 6e broke under this bullish pattern .. watching with my glases on .. 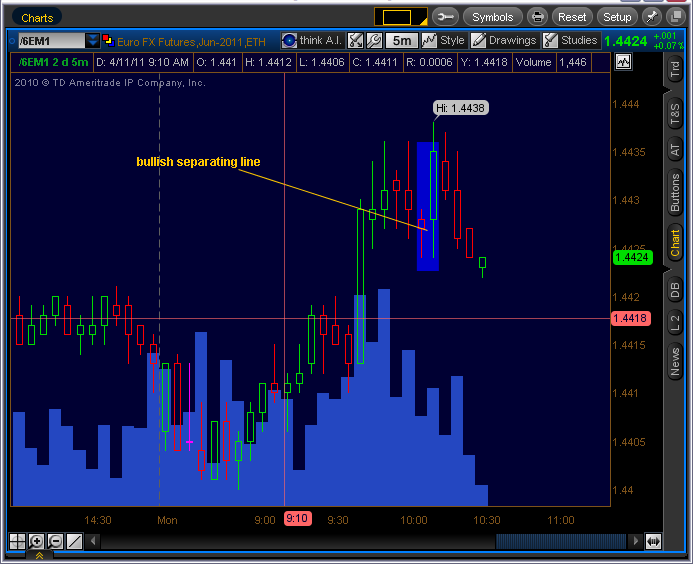 I have a target at 1.4506 .. 6e has been within 6 ticks a couple times .. and is back up here again .. It seems 1.4500 even is the big resistance number so far. 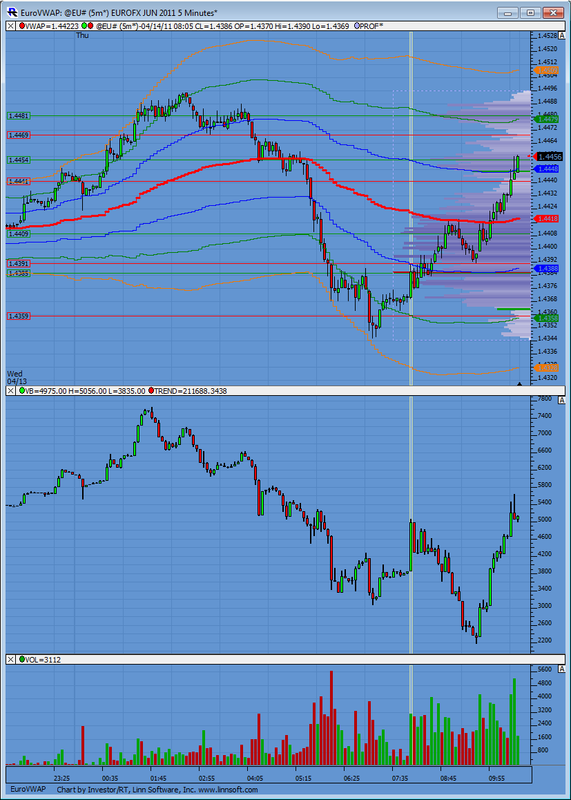 I thought that 1.4500 would be tough .. but when 6e kept going back up there, thought maby it might bust it .. Here is what this push upward looks like in terms of cumulative delta. 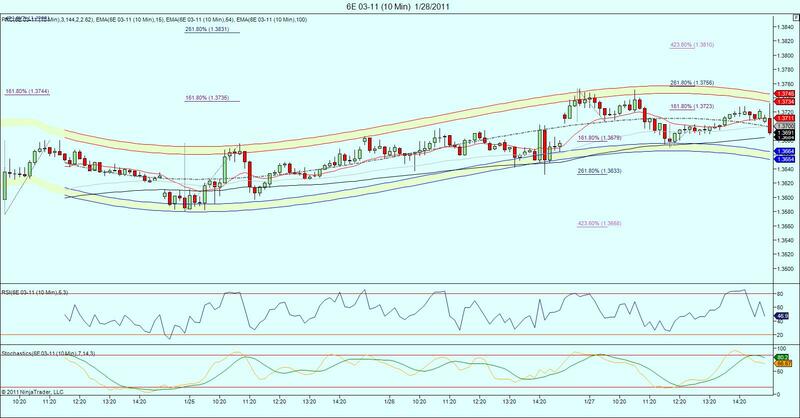 Nice divergence there as price pushed into and through VWAP.